How would you like a chance to win a Ryobi 18V Lithium Combo Kit? 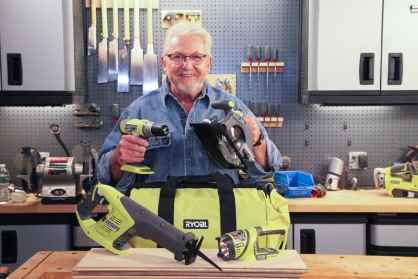 Enter the Ron Hazelton Sweepstakes now through July 20, 2018 for your chance to win Ryobi 18V Lithium Combo Kit from Ron Hazelton. Combo Kit Includes: Drill, Circular saw, Reciprocating saw, Work light, Two high-capacity lithium-ion batteries, High speed charger — one hour or less. When To Enter: The RonHazelton Sweepstakes begins on July 014, 2018 and ends on July 20, 2018. Sweepstakes Prize: A serious combo-kit for the dedicated and determined DIYer. Combo Kit Includes: Drill, Circular saw, Reciprocating saw, Work light, Two high-capacity lithium-ion batteries, High speed charger — one hour or less.